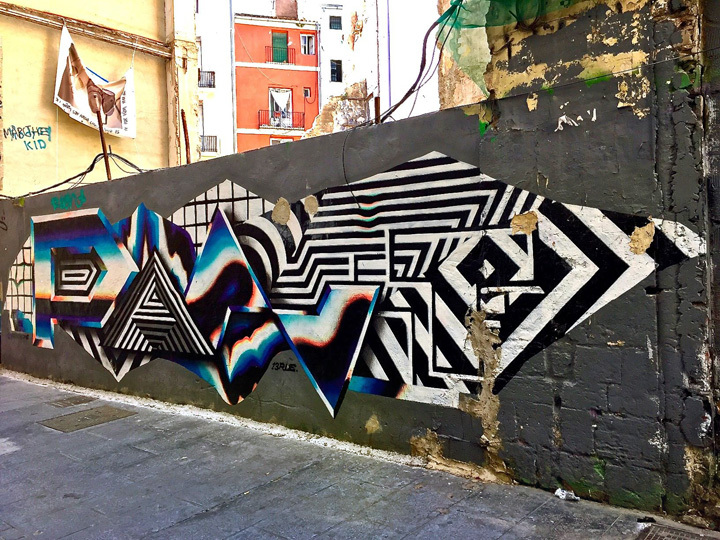 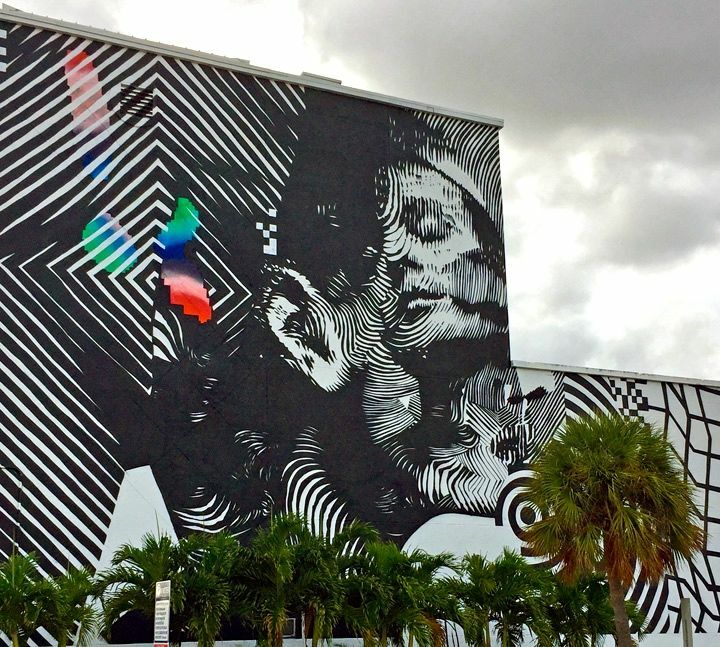 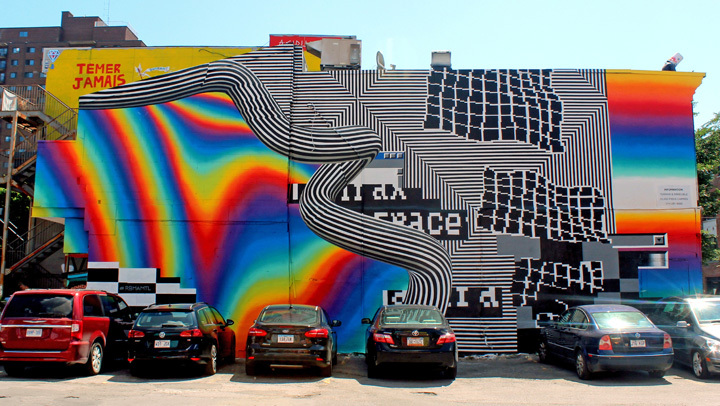 Within the past year, we came upon Felipe Pantone‘s mesmerizing vision on the streets of Miami, Montreal, Atlanta, NYC and Valencia, Spain. 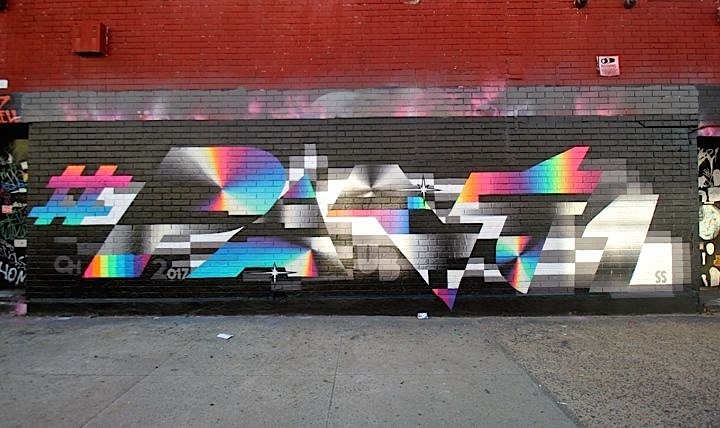 And recently we viewed his distinctly bold, infectious aesthetic in a gallery setting here in NYC. 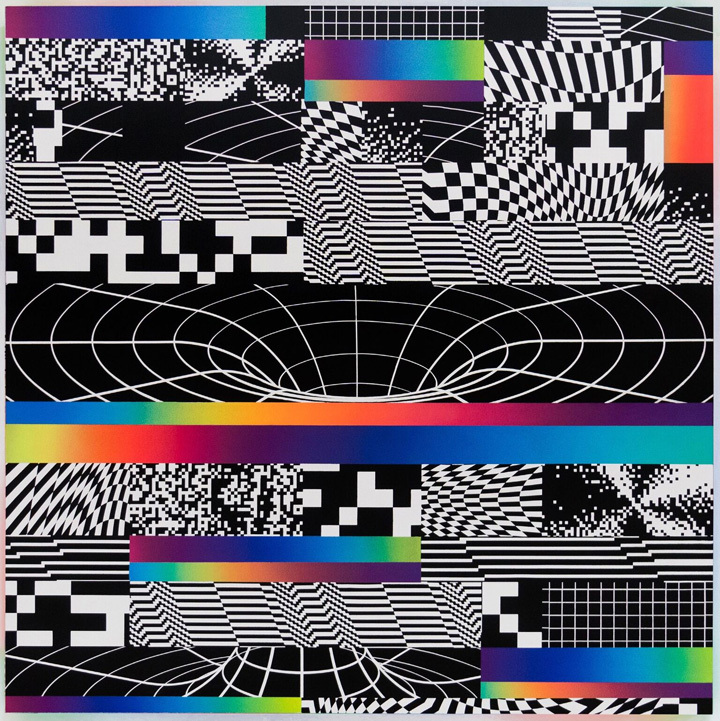 Until Sunday, April 16 several of the artist’s studio works remain on view in the brilliantly alluring group exhibit, Interferences: Contemporary Op and Kinetic Art, at GR Gallery, 255 Bowery. 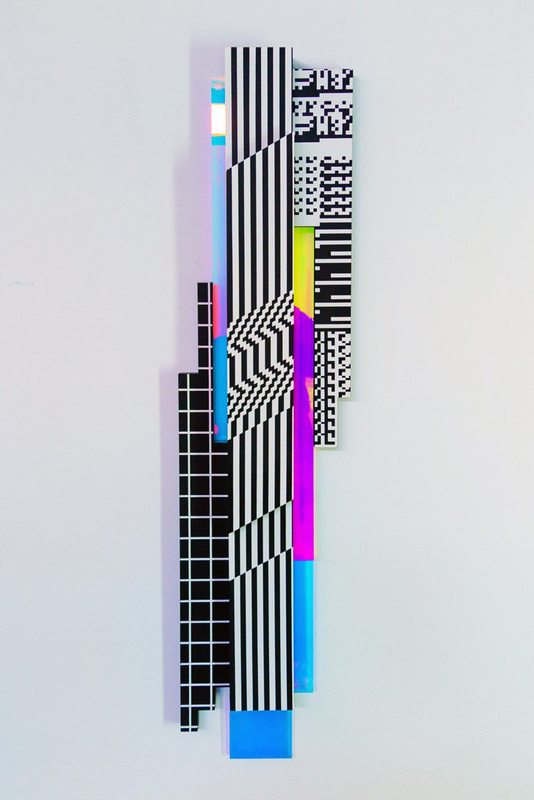 Pictured above is OPTICHROMIE 85, enamel on wood panel. 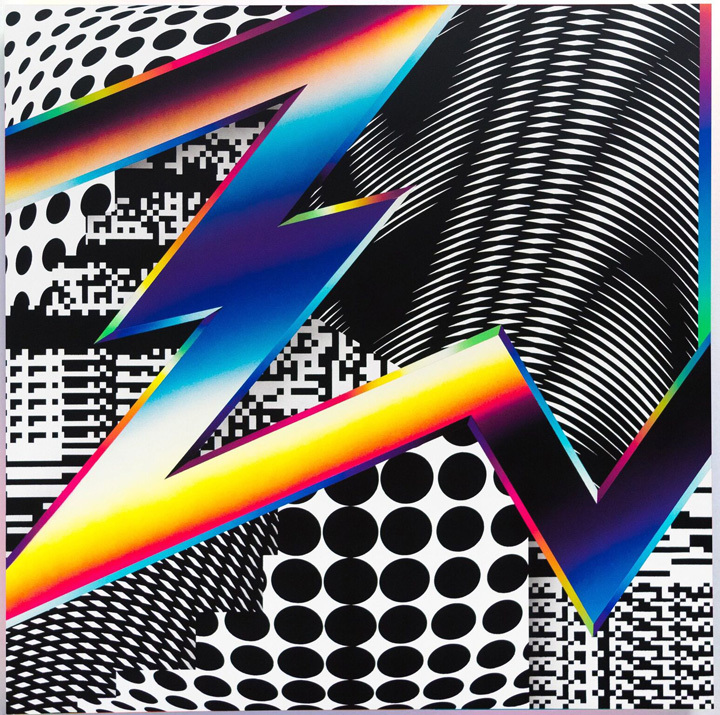 What follows are two more of Felipe Pantone‘s works on exhibit at GR Gallery. 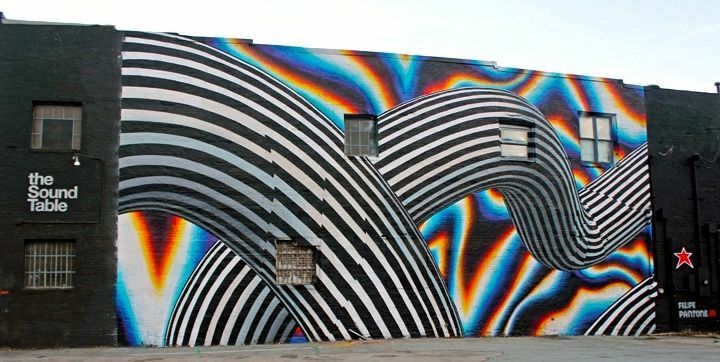 Featured along with Felipe Pantone at GR Gallery are Gilbert Hsiao, Nadia Costantini, and Sandi Renko, whose innovative works “investigate and advance the discourse around pattern, optical and perceptual abstract painting.” Located at 255 Bowery — between Houston & Stanton — GR Gallery is open Tue- Sat 12:00pm – 7:00pm.